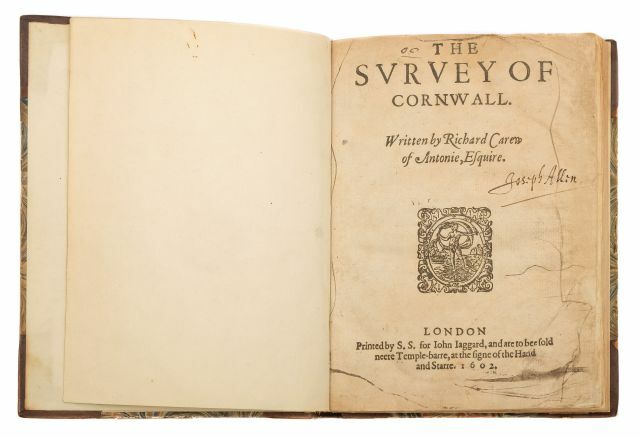 Another gem on offer from the private collection of Cornish books to be included in the Antiquarian Book Auction on 15th March 2017 is Richard Carew's Survey of Cornwall. Dated 1602, this is the earliest published history of Cornwall and one of the earliest published histories of any county. Given its rarity, this volume carries a pre-sale estimate of £800-£1,200. The March 2017 Antiquarian Book Auction includes a good private collection of over 120 lots of Cornish books, including many scarce titles. 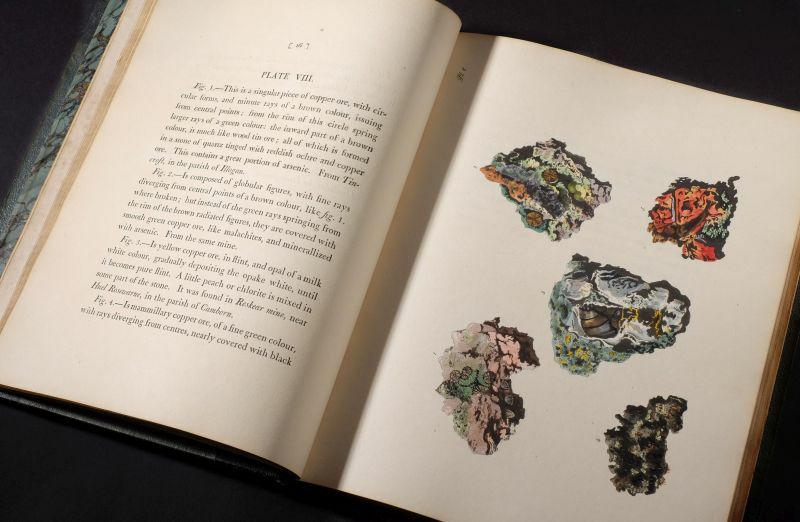 One of the highlights of the Cornish collection is Philip Rashleigh's Specimens of British Minerals (BK17). Two volumes in one, with 53 hand coloured plates of minerals bound in half gilt morocco and cloth sides, 4to, 1797-1802. Entries are currently being invited for this forthcoming auction, which promises to be an excellent sale and in the meantime, we will blog some of the highlights over the coming months.